There are 8 cutters for different teeth cutting requirements. Involute cutters are designed to withstand extreme hardness and working conditions where temperatures go beyond 600 degrees. They are manufactured using the latest technology that combines the best steel grade and alloys to provide superior quality blades. Some of the models available include ASP 2030, M35 and HSS M2. Maxwell Tools Company provides a range of eight cutters with unique teeth orientation to meet cutting requirements in different environments. The cutters are classified under form tools and used in generating the shapes required in different work pieces. The blank size must be set in order to produce the required pieces. They form part of the milling machines used in generating gears. For Spur gears with a pressure angle of 20 degrees of 14 – 1/2 degrees. A relievable form that allows you to reshape as many times as possible without altering the form. The cutters are customized for each pitch. Cutters of sizes 12 module and above offer more accuracy when ordered in sets of 15. The 1/2 cutters are available in dimensions of 1.5, 2.5, 3.5, 4.5, 5.5, 6.5 and 7.5. Sizes beyond the 9 module and a wider range of metric cutter bores are manufactured on order. 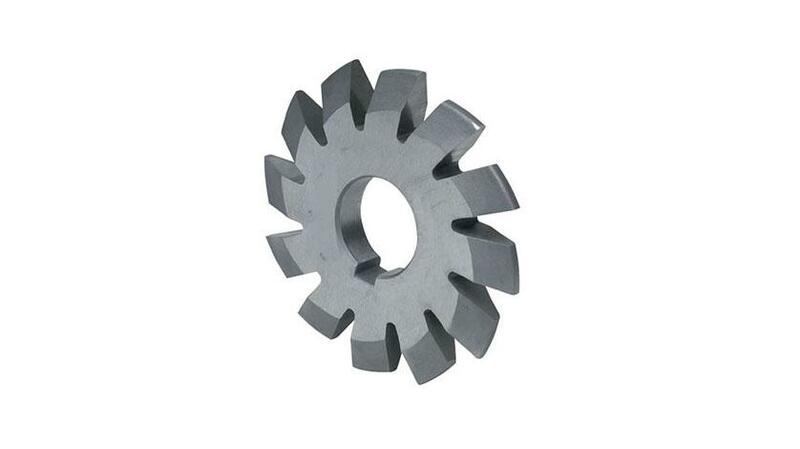 The uniqueness of Maxwell Tool Company lies in providing high quality and reliable cutters. The availability of a variety of features ensures that you get the perfect tool for your type of work. There are both standard and non-standard tools, some of which are manufactured on order. High quality tools will guarantee excellent value for money and enhance productivity in any milling environment. The design and manufacture of these tools is steered by a team of highly skilled, experienced and dedicated personnel. The team delivers with precision and within stipulated time. The Gear Milling Cutters and Precision Cutting tools are shipped to customers in different parts of the world. The cutting tools are displayed on the website to make it easy for clients allover the world to place their order. A convenient delivery system reduces the time taken to receive your goods. Payment methods are easy and convenient including the use of major credit cards, online platforms and electronic transfers. The other range of products offered by Maxwell Tools Company includes gear hobs, plain milling cutter, metal slitting saw and scalping cutters. There is a variety of shell end mills, involute gear cutters and convex milling cutter. The company also manufactures excellent quality concave milling cutters, angle milling cutters, hacksaw milling cutters and serration milling cutters. There are unique dove tail cutters that are attached to different rod sizes. Maxwell also manufactures superior quality paper cutters, reamers and tool bits. All gears, cutters and other products are thoroughly inspected before being dispatched to clients. This ensures that they meet the specifications given when ordering. The company provides excellent tips to give you an unforgettable experience working with their tools. The instructions accompanying each tool focus on maintenance and handling during operations. This will guarantee safety, efficiency and long life.